Hi Everyone! 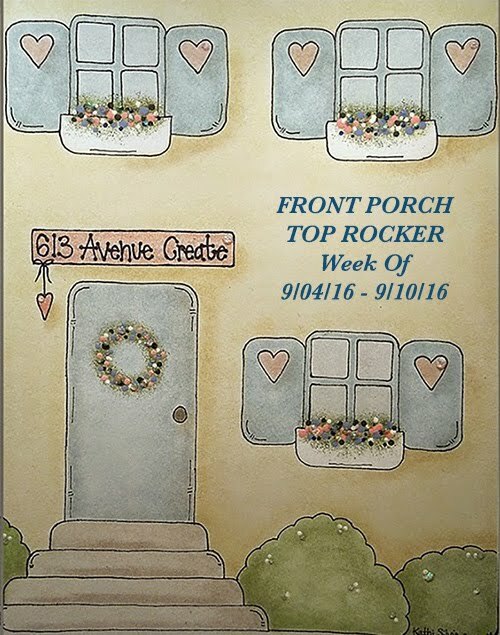 Here to share my card for this week's OCLDT 38 sketch challenge. This is my last day for focusing on pattern papers this week and this time, I chose to use papers from Crate Paper's Restoration 6x6 pad. I know a lot of people who have a hard time trying to figure out how to mix and match pattern papers. The easiest way to accomplish this is to stay within the same collection package. The papers are designed to work together, so it's easy to do. I used Smoky Shadow from PTI along with Summer Sun and Regal Rose from SU as my solid papers t o match with this collection. 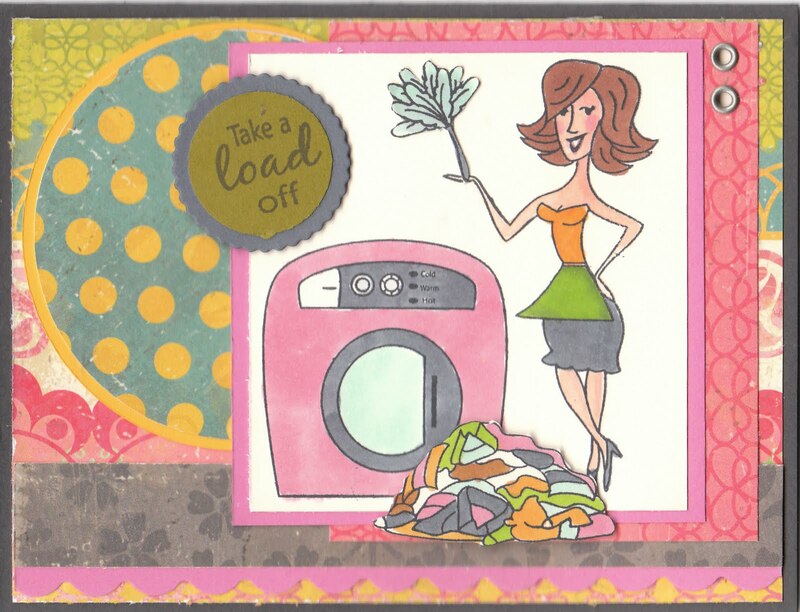 I used Hot Betty and The Spin Cycle from OCL. I stamped each image in Memento Tuxedo Black ink and then used a variety of Copic Markers to color it all in. 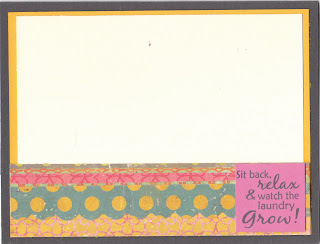 Here is a picture of the inside done as well, using some more of the pattern paper and scraps from the front of the card. I hope you have enjoyed this week's theme of using pattern papers. 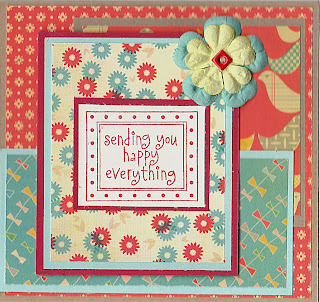 I for one, was very surprised to learn how much quicker cards come together when using pattern papers. It's not as time consuming as embossing etc. 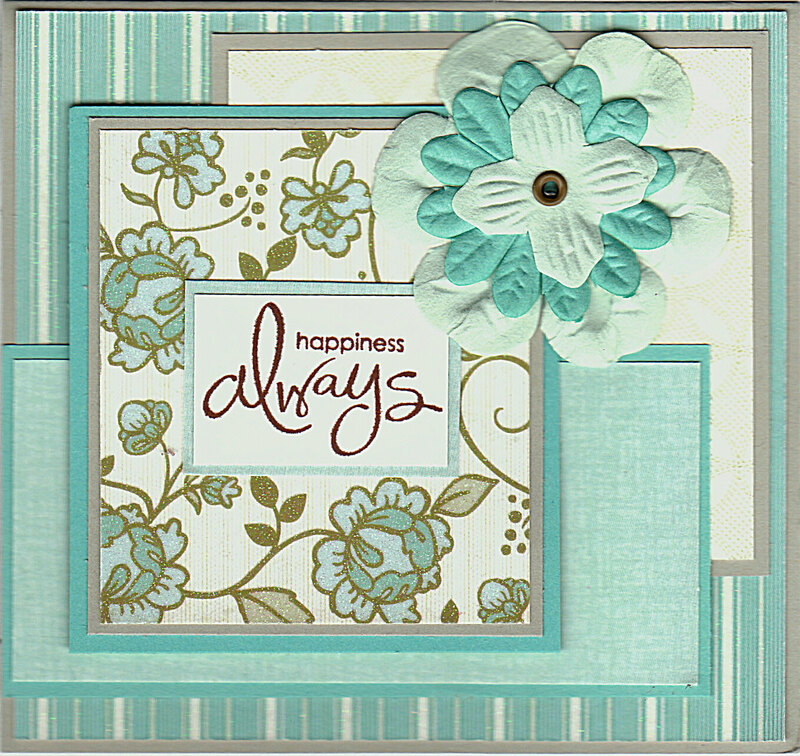 Speaking of embossing, be sure to come visit me next week, as that is going to be the focus for my next set of cards. Until then, enjoy the rest of your weekend! 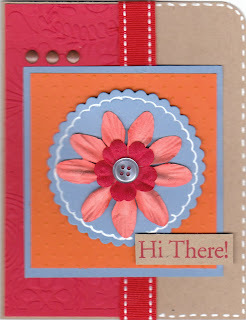 Today I am sharing my card for yesterday's Tuesday Morning Sketches challenge. 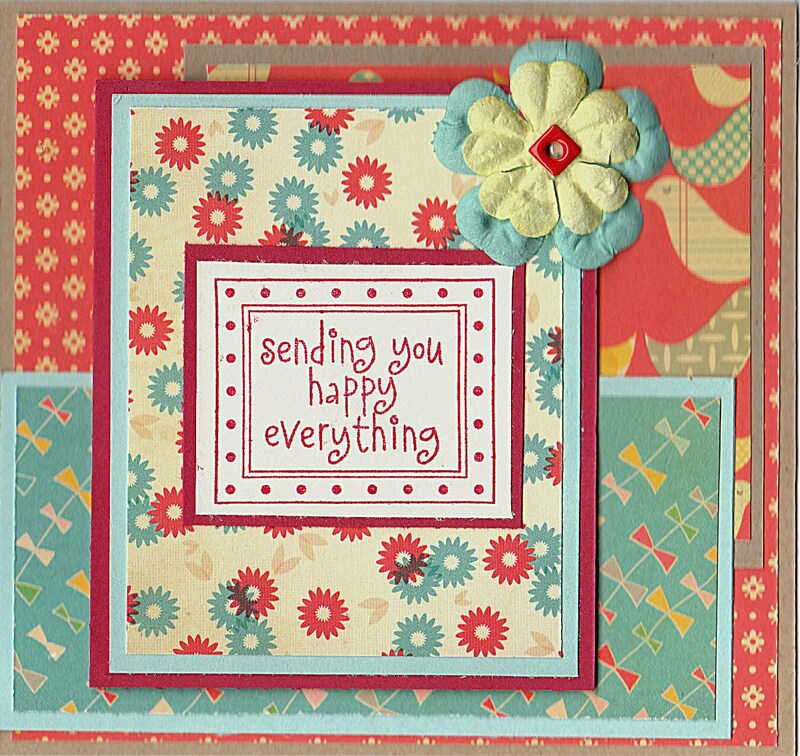 I used the Shaped Cards Digital Cutting kit by Kristina Werner to make the circle card with my Cricut I am continuing my focus on patterns paper this week also. For this one, I used papers from Cosmo Crickets Wanted mini deck. This pad of paper has beautiful blues, reds, rusts and browns in it. I LOVE IT, so expect to see more of these papers in future cards. 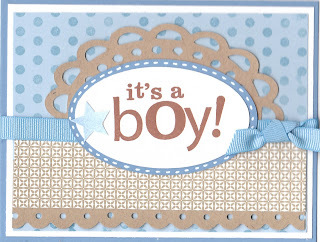 I used Aqua Mist from Paper Trey ink and some rust paper for my solid colors in the card. The sentiment in the middle is from Hero Arts "Thinking of You" set stamped in Chestnut Roan Chalk ink on some neutral scrap paper that I had. 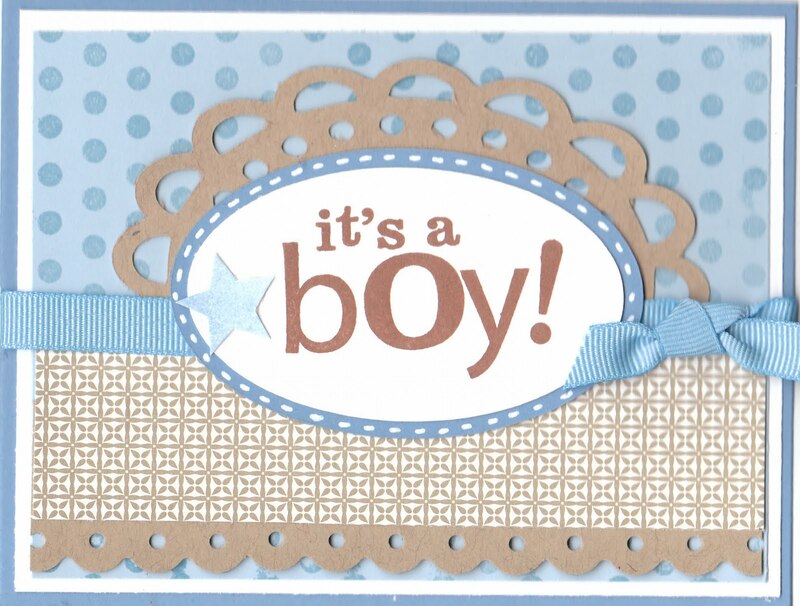 This card came together super easily because I didn't stamp anything except for the sentiment. 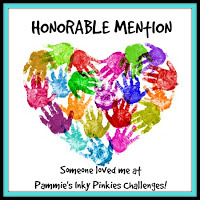 So, I hope you like it and thanks so much for stopping by to visit with me today. Oh my word, it has been almost a whole week since I've shared anything with all of you. 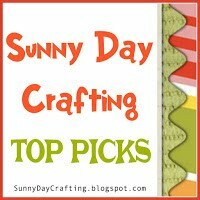 I have actually been very busy crafting and stamping but not doing a lot of blogging. I began to think about why that was and was actually surprised to realize that I just didn't want to blog at all! So I took a little time for reflection and discovered that I had begun to think of blogging as a job (that I'm not getting paid for!) instead of a fun past time. I suspect that this is in large part to do with challenge chasing. 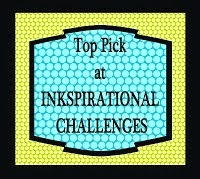 Everyday, I read all the challenge lists and pick and choose the ones I think I can do and then create a card for it. Next comes the uploading and the linking to the various challenges and then commenting on as many cards as I can, in hopes of getting some traffic back to my blog with some comments as well. I realized that I was spending upwards of 2-3 hours everyday just doing that and that my card creating had become about doing what was appropriate for all the particular challenges instead of tapping into my own creativity. So, I'm going to change things up a bit. I'm going to go back to participating in the standard daily challenges I participated in when I first started blogging a few years ago. That's right, one challenge per day, that is all! I also thought it would be fun to focus on a particular theme or product each week and make my own challenge to create something around that each day. 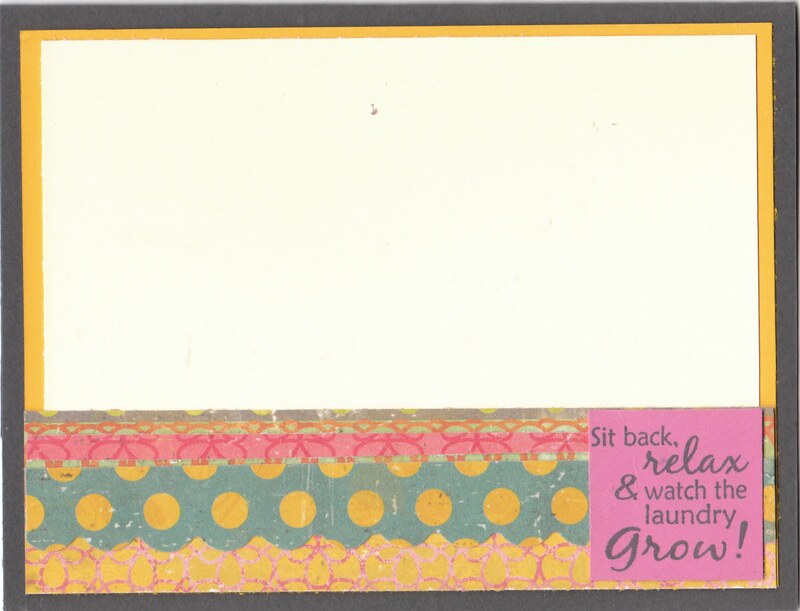 To start things off, this week I will be focusing on patterned paper. I got some pattern papers from Two Peas over this past weekend and I couldn't wait to dive right into them. 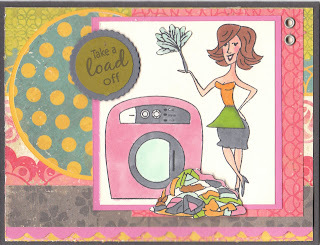 The first card I am sharing today is for yesterday's Mojo Monday 163 sketch challenge. This sketch was perfect for being able to showcase some pattern paper since the image panel was small. I chose Not Quite Navy from SU as my base and then added a piece of paper from my new Crate Paper "Restoration" mini deck. The papers in this collection are gorgeous and they are double sided as well. The piece of gray around the image panel is just the other side of the floral paper. I matted it with a Regal Rose and then added a piece Vanilla. At the top of the image panel I put a piece of Basic Grey's Kraft Ribbon Doilies. 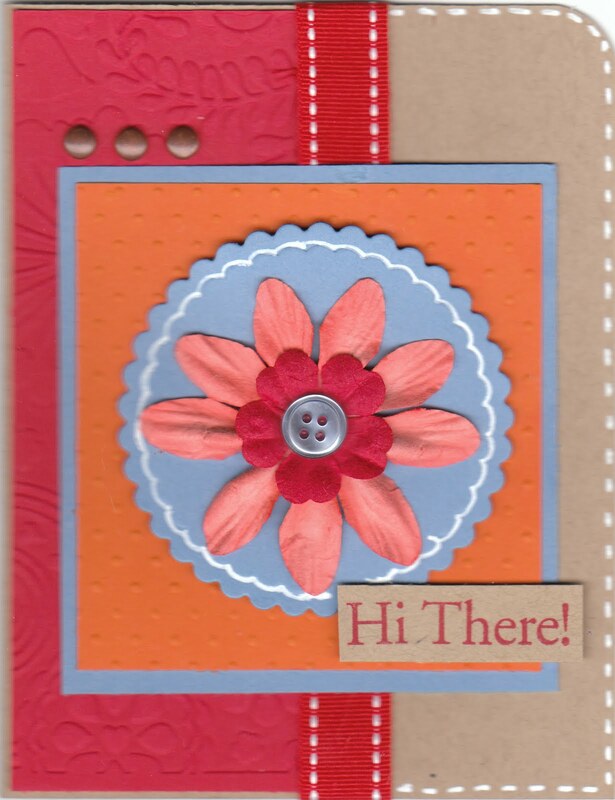 I stamped the circle in the middle from Little Yellow Bicycle's "Zinnia" Collection with Regal Rose ink. 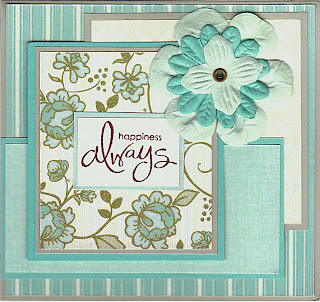 The sentiment at the bottom is also from the same set and I stamped it with Charcoal Grey Fluid Chalk ink by Color Box.